Booth: S01 & S07 468 Parents want this! 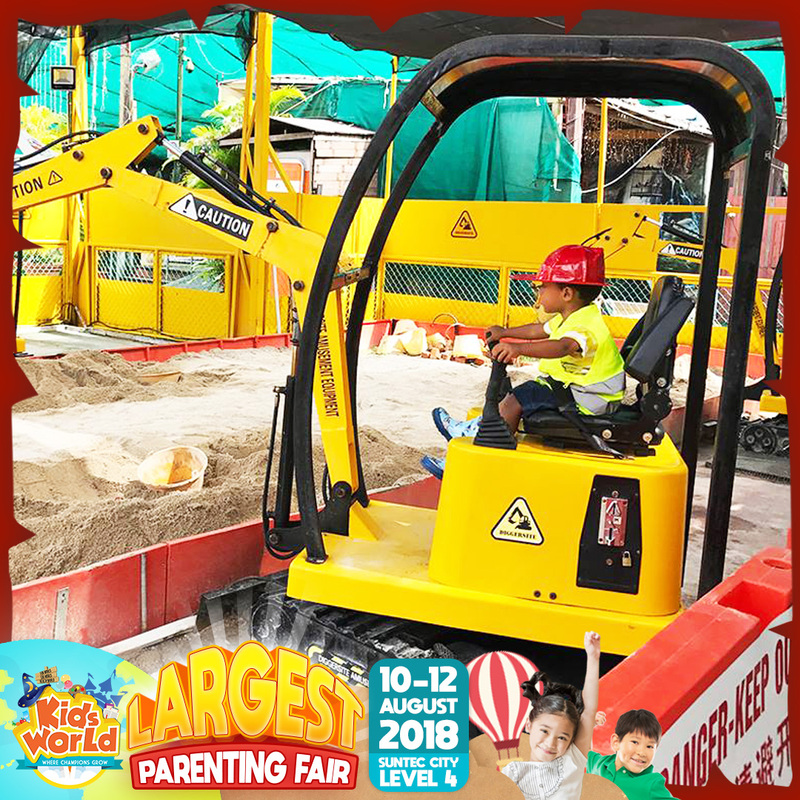 With real construction machinery like excavators in kid-sized rides, it’s a fun and educational experience for all ages. Don’t be surprised that the adults may enjoy this as much as the kids! A HUGE “Construction site” at Kids World Fair with real signboards and Personal Protective Equipment! This will provide the opportunity to educate the children through interaction, engagement and experience. This activity nurtures the development of life skills, thus establishing confidence and inspiration. Shortlist them in case you miss it! Try it out at Booth S01 and S07. Diggersite is a brand-new destination, offering a unique experience for families and kids! It is one-of-a-kind edutainment centre that provides realistic experience in operating small scale construction machinery. The recreational and educational digger rides will help children develop skills such as hand-eye coordination, which forms the basic foundation for writing, crafts and other fine motor activities.